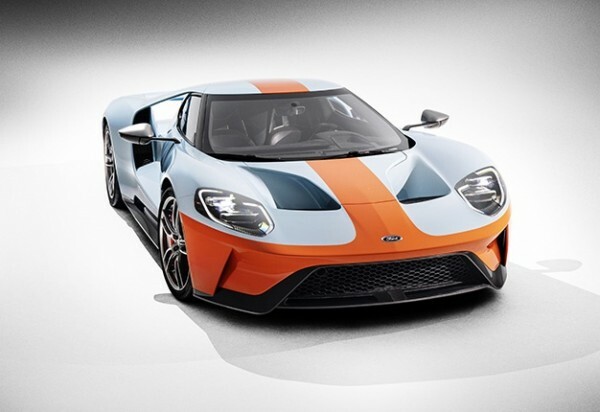 The Ford GT Heritage Edition honours the legendary GT40 by featuring one of the most famous paint scheme in motorsport. Known among racing enthusiasts as chassis No. 1075, the 1968 GT was one of just a few individual cars to achieve repeat victories in the 24 Hours of Le Mans. Joe Hinrichs, Ford president, global operations, said: "Many view the Gulf Oil paint scheme as the most famous in motorsports. The 1968 GT40 quickly became a global sensation after beating its European competitors on the track four times in a row, and in honor of the 50th anniversary of its win, we’re paying fresh tribute to the original with a new heritage limited edition."